It helps the merchants keep in touch with customers through sending follow up emails. Easy to use and set up the rules for follow up email. 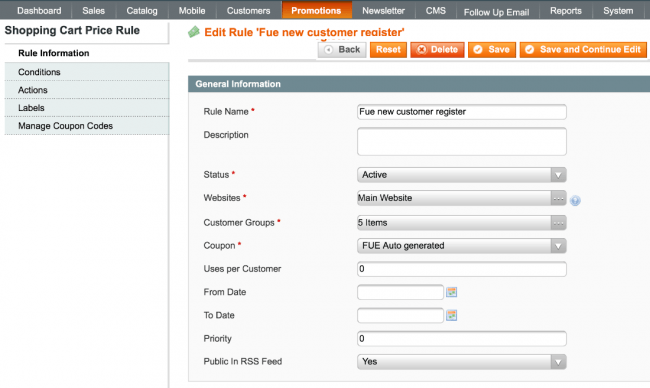 Send email to customers based on a preset rules. Set up once and everything runs on autopilot. Use conditions to refine email lists and coupons to boost sales. 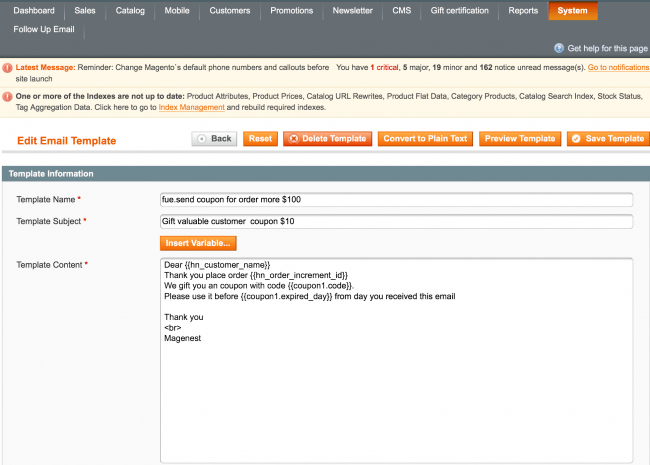 Use email variables and templates to personalize emails for each customer.